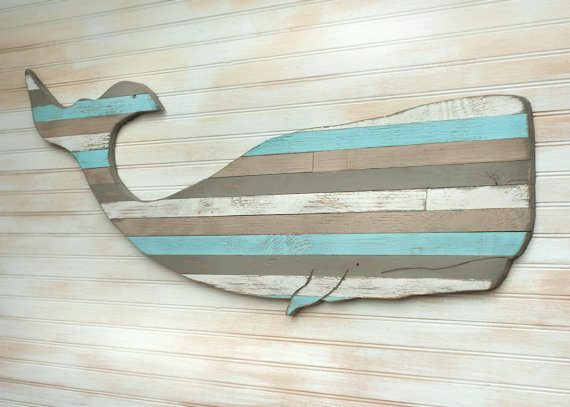 In today’s post I thought we could go ahead and highlight some of the more creative wall decorations found in beach houses around the world. 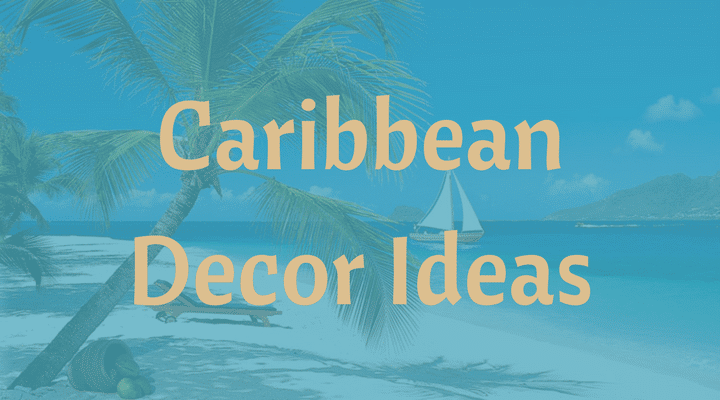 Wall decorations are something that can actually breathe some life into an otherwise dull room. 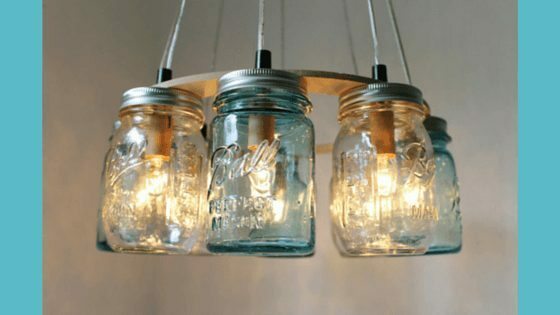 Lights, Lamps, Light shades. 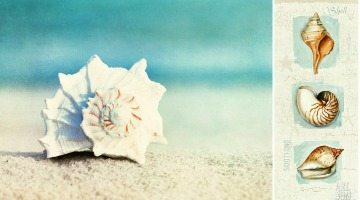 These are some of the most neglected and basic items that we seem to find in beach houses (and all houses for a matter of fact) nowadays. 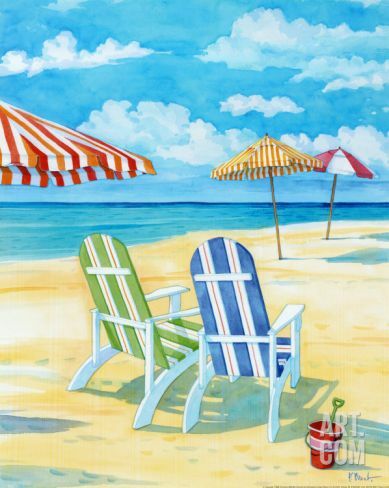 Target’s sea creatures and beach scenes might just be what your Outdoor Space needs to be complete! 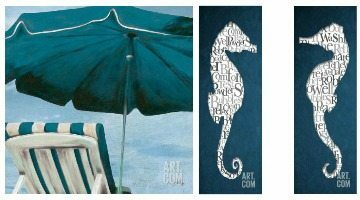 After all, to Create an Outdoor Beach Oasis that’s like a living room under the sky, one design element that’s not to miss is wall art. 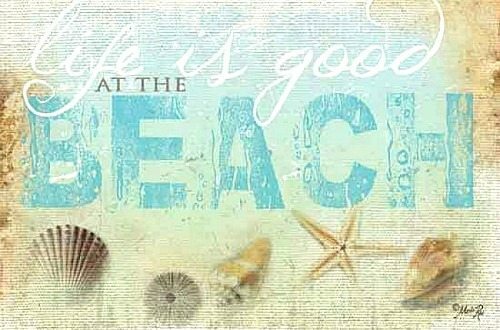 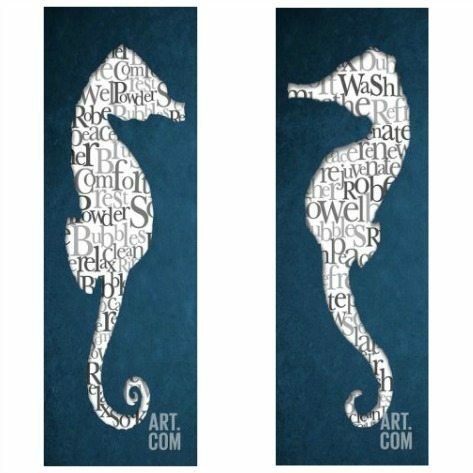 This selection of beach art has a strong seaside vibe with deep blue hues, stripes, word designs, as well as quotes and sayings. 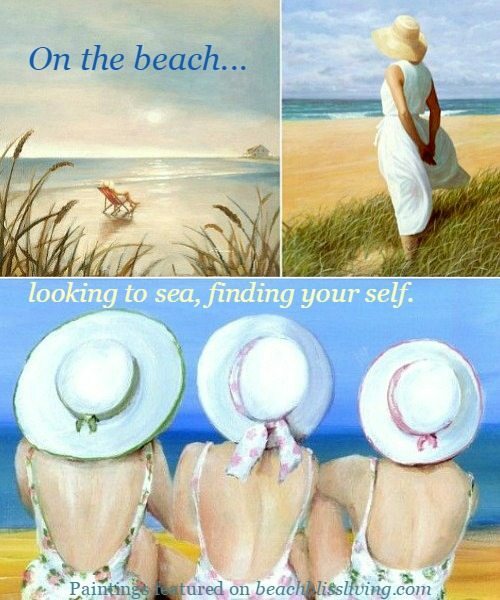 Step into a dream with Diane Romanello’s realistic and romantic beach paintings! 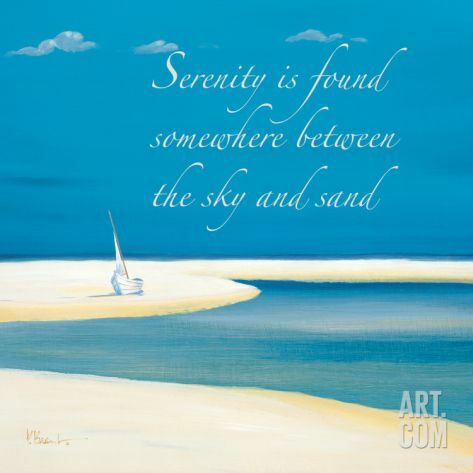 Available as prints and posters via Art.com. 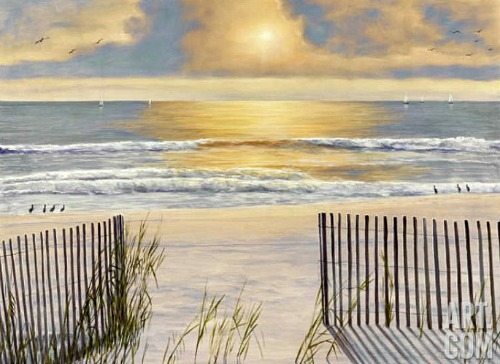 Florida artist Paul Brent, often referred to as America’s best known coastal artist, paints idyllic beach scenes in sunny watercolors. 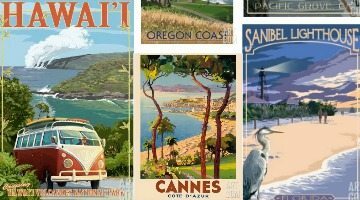 Celebrate your favorite beach destinations with beach travel posters and prints that are reminiscent of vintage travel ads. 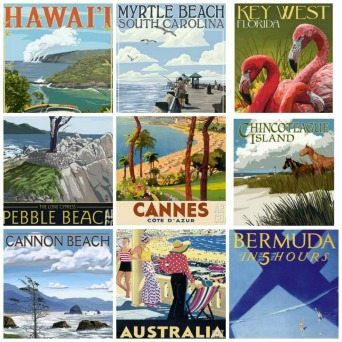 My hand picked selection from Art.com consists of sandy spots in the USA, as well as Bermuda, Italy, France and Australia. 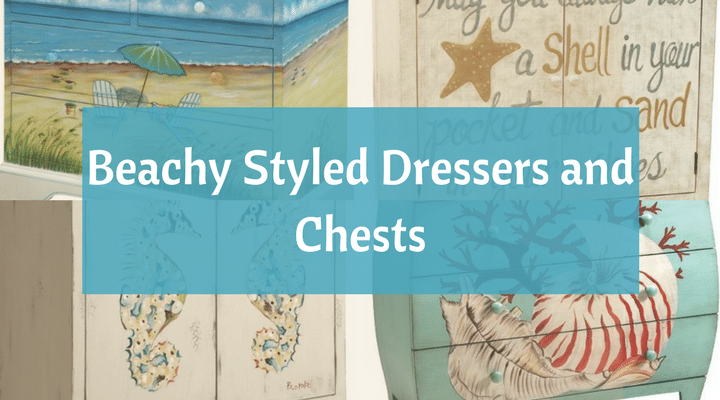 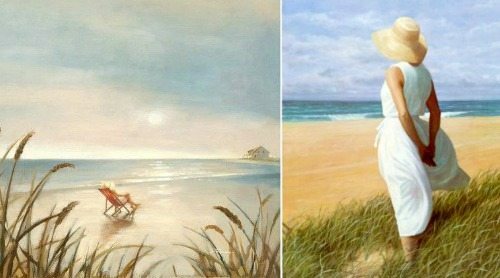 Each of these paintings of women on the beach beautifully captures a moment of reflection, and is an inspiring work of Art to have in the home. 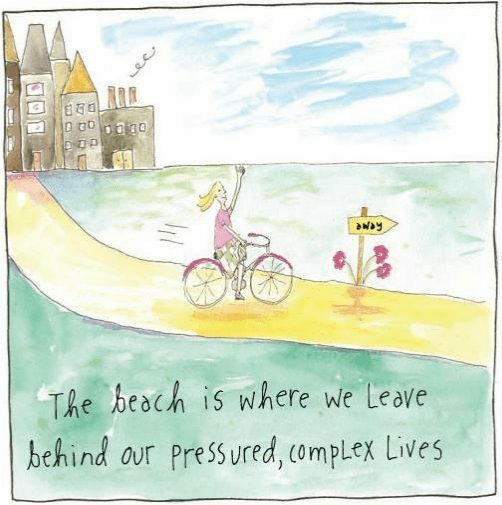 At the beach we seem to be able to leave complications behind, slow down, breath deeper, remember what’s important. 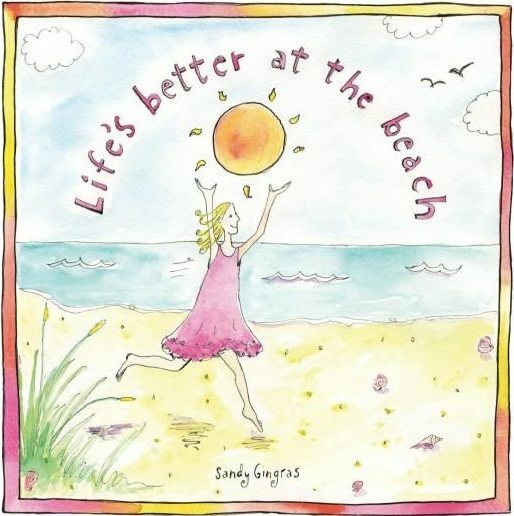 Artist Sandy Gingras has turned her inspiration from the beach into whimsical illustrations and prose, composed into the most lovely books. 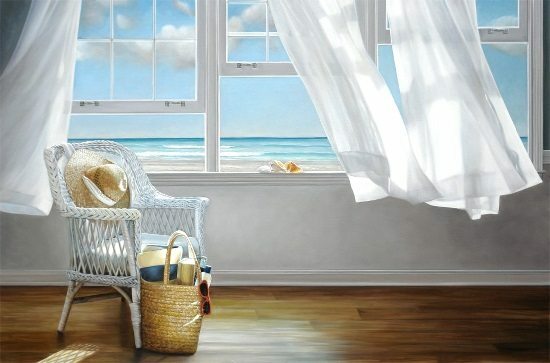 “For me, a painting is successful, if I wish I were there.” These are the words of Artist Karen Hollingsworth. 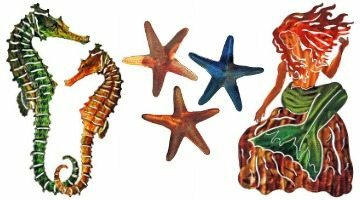 I think all of her ocean beach window paintings are successful! 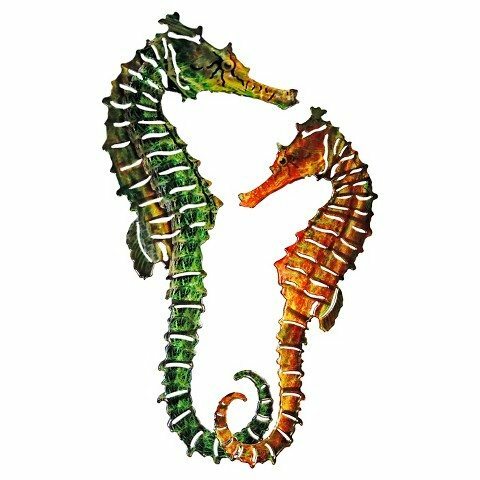 The work of best-selling writer and artist Suzy Toronto is dedicated to women and their relationships. 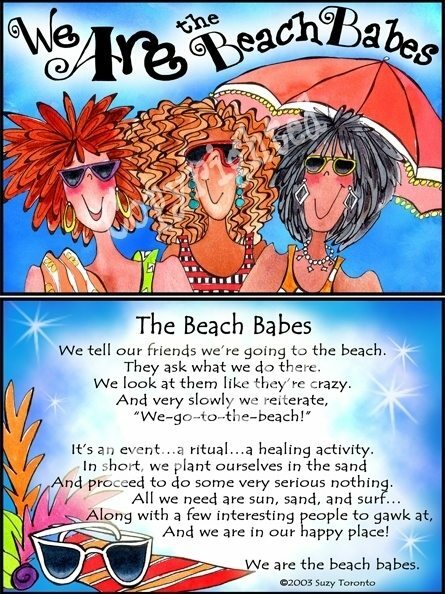 And her whimsical illustrations and stories of beach babes, flip flops, and mermaids are a hoot!